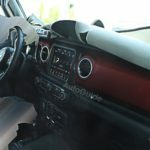 This post was posted on the Chrysler Blog “Objects in the Mirror” and can be found here. 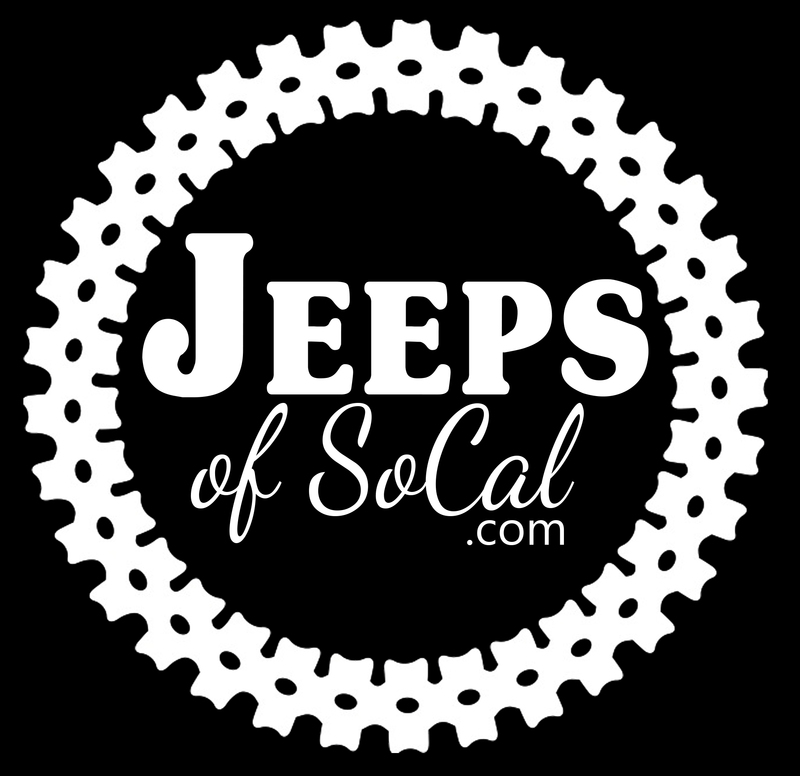 The Smith family’s public thank you to the Jeep community and Jeep Jamboree USA (JJUSA) family for their support of Mark A. Smith’s efforts to promote recreational off-roading took place on Sunday, August 31st at Henningsen-Lotus Park, Lotus, California. The Jeep Girls drove their 2015 Firecracker Jeep Wrangler to say good-bye to an old friend and meet new ones as well. This was an opportunity for long time friends to share their stories of great times with Mark. 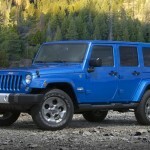 This gathering also served to reveal and thank Jeep for creating a one of a kind Mark A. Smith edition Jeep Wrangler. The vehicle was donated to the El Dorado County Sheriff’s department for their support and patrol of the Rubicon Trail, namesake of the more than a decade-old Jeep Rubicon. 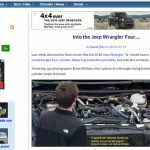 Speakers included Retired Judge Eddie Keller, CA State Senator and proud Jeep owner Ted Gaines, friend Perry King, Off-Road Hall of Fame member and icon Rick Pewe and Tyler Ruby of the Jeep Brand. JJUSA support staff, journalists, and friends of Mark A. Smith made up a crowd of approximately 250, to pay tribute to his life accomplishments. It was a sunny, warm day near the Rubicon Trail. Attendees were invited to laugh together and share the signature trail “sack lunch” of chicken fingers, brownies, mystery chips, and M&M’s, which were Mark’s favorite. Friends of Mark sported his signature white cowboy hat with silvery ponytails attached! Some folks even took to jumping to celebrate the miles driven by red Mark’s CJ-7! Mark’s daughter had mentioned that the family recently gathered together on the Rubicon where they saw a beautiful rainbow in the clouds. They had also heard that there was an influx of wildflowers that had never been seen on the trail before. They bloomed for a mere forty-eight hours. We all gathered together celebrating a burning fire of adventure! Rick Pewe, an exceptional off-road expert who has explored the world off-road near and far, left the crowd with some poignant words regarding the accomplishments of Mark A. Smith. 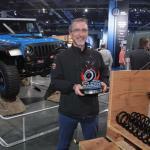 “…We’d all like to be on the Rubicon Trail right now, think about that!” The adventuresome and visionary spirit of Mark A. Smith has made the Jeep Rubicon, as well as the use of the Rubicon Trail, possible. Jeep Jamboree has been delivering an incomparable experience since 1953 “only in a Jeep!” JJUSA has several trail trips remaining in 2014 and intends to continue the Mark A. Smith legacy. Contact JJUSA at register@jeepjam.com to schedule your USA Jeep adventure! “Mark Smith passed away, but not before feeding some logs of excitement to that inner campfire of so many adventure hunting off roaders. Let’s not let that fire die!” as best said by attendee Fred Williams. 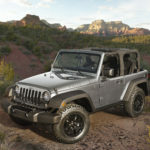 By David Zats at AllPar.com: Last week, Automotive News wrote that the 2018 Jeep Wrangler “JL” would have a 300 horsepower turbocharged ..
2015 Jeep® Wrangler, Dodge Challenger and Ram ProMaster Win Edmunds.com ..
June 18, 2015 , Auburn Hills, Mich. - Edmunds.com has named the 2015 Jeep® Wrangler, Dodge Challenger and Ram ProMaster winners ..
Jeep Wrangler Named SEMA’s “Hottest 4×4 SUV” for Fifth Year ..
Jeep® Wrangler, Mopar’s Most Accessorized Vehicle, Recognized as SEMA’s ‘Hottest 4x4-SUV’ for Fifth Consecutive Year SEMA selects Jeep® Wrangler as most ..
2014 WRANGLER ALTITUDE MSRP*STARTING AT$31,895 Matte Black Grille with High-Gloss Black Grille Inserts and Headlamp Rings High-Gloss Black Bumper Appliqués Body-Color Hardtop High-Gloss 18-Inch Black-Painted Seven-Spoke ..
All-new 2015 Jeep® Renegade: most capable small SUV ever combines Jeep heritage with cool new styling to appeal to youthful and .. Tagged Chrysler, founder, jeep, Jeep Jamboree USA, Jeep Wrangler, mark smith, off-Road Hall of Fame, Pearse Umlauf, rubicon, Rubicon Trail.